VANCOUVER — It’s never easy to change the culture of a sports program over the course of one season, yet you wouldn’t be off base if you said that is precisely what happened with the new B.C. senior boys AAA soccer champions from Vancouver College. That takes a second just to get used to hearing. The Fighting Irish and the beautiful game really didn’t have a history until this past weekend. 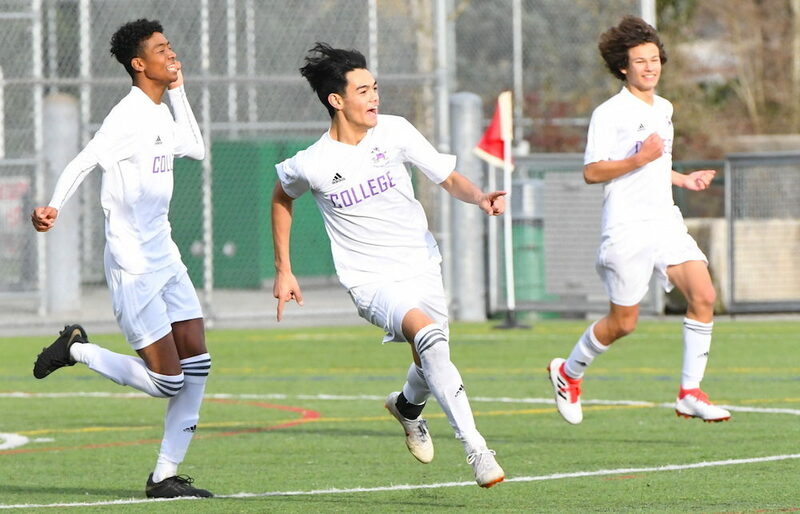 All of that changed after Vancouver College crashed the party and won B.C.’s highest-tiered boys soccer title with a 2-0 title-clinching win Saturday over Surrey’s Panorama Ridge Thunder at the Burnaby Lake Sports Complex. 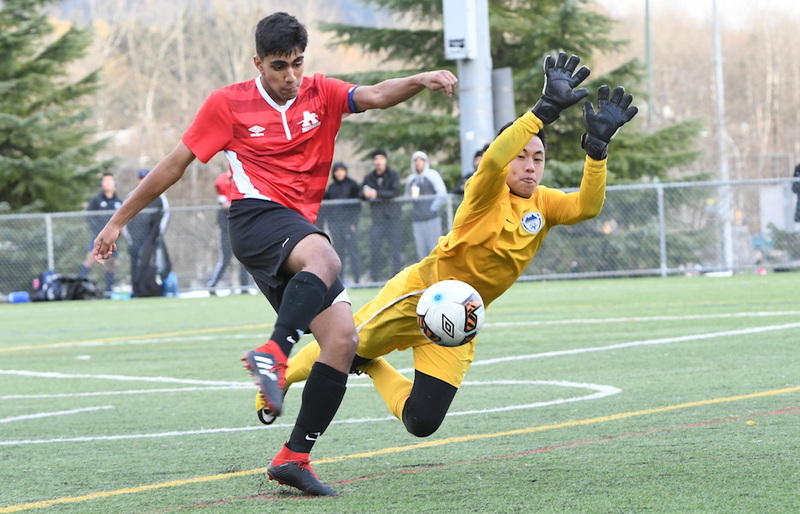 They also got the performances earlier in the season which they needed to get past their toughest traditional hurdle: Winning the two-leg home-and-home with rival St. George’s just to advance to the Lower Mainland championships. This season, the Irish won 2-1 at Saints, then cruised to a 5-1 victory at home. That momentum carried them through the Mainland tourney, where they defeated Kitsilano on penalty kicks in the title match after losing star striker John Joseph to a second yellow card, and finishing the match with 10 players. Joseph’s card issues forced him to sit out the Fighting Irish’s first game of the provincial championships, but Vancouver College still managed to win its pool and advance to Friday’s semifinals. There, it was Joseph who nodded home a 55th-minute free kick by Jonas Zimmerman in a 1-0 win over the Fraser Valley champion Abbotsford Panthers. Abby’s Jehmrode Kahlon had a pair of glorious late chances to equalize, and the Panthers carried much of the play but could not beat Irish goalie Jasper Leong who was later picked the tourney’s top keeper. In the final against Panorama Ridge, Joseph scored the winner 10 minutes in, heading home a corner kick. He then iced the game with left-footed strike just outside the 18-yard box with three minutes remaining. It was an Irish defence anchored by centre backs O’Brien and Jacob Gravelle that played a huge role in the final. But the Irish payed special attention to the Thunder’s ever-dangerous Jeevan Sidhu, giving David Tang the assignment of man-marking him throughout the match.